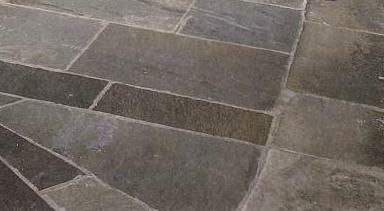 There is a wide variety of stone paving in England such as Yorkstone, Pennant and Blue Lias. These are usually in the form of rectangular slabs. We are a supplier of handcrafted building and walling stone, Somerset Blue Lias, Architectural Masonry Products, Masonry Stone, Fire Surrounds, Flagstones, Cobbles, Floor Tiles and our new Garden Art Collection. Our range of natural stones, includes Cary Stone, Hadspen Stone, Blue Lias, Hamstone, Bath Stone and Doulting Stone. As a stone supplier, we can help make your project beautiful. We pride ourselves on supplying a first class product with excellent technical knowledge. Our stone can match many local stones no longer available and we can provide samples for stone specified by either your architect or local planning department. Lovell Stone Group Limited is a leading quarry master, processor and supplier of British stone products. Our main processing works is on the Isle of Purbeck in Dorset where the company processes and supplies a wide range of English limestone products to include building and walling stone, flooring and paving, monumental and architectural masonry. Lovell operates a number of different quarries including Chicksgrove / Chilmark in Wiltshire, Blue and White Lias in Somerset, Hurdcott Greenstone in Wiltshire and a series of Purbeck Quarries in Dorset. We also process other English limestone's including Portland, Ancaster, Lincolnshire and Bath. The individual website addresses for each quarry are www.lovellpurbeck.com, www.somersetlias.com, www.chicksgrovequarry.co.uk & www.hurdcottgreenstone.com .